March 7, 2012 - The International Air Transport Association (IATA) announced that the 2011 accident rate for Western-built jets was the lowest in aviation history, surpassing the previous mark set in 2010. The 2011 global accident rate (measured in hull losses per million flights of Western-built jets) was 0.37, the equivalent of one accident every 2.7 million flights. This represented a 39% improvement compared to 2010, when the accident rate was 0.61, or one accident for every 1.6 million flights. A hull loss is an accident in which the aircraft is destroyed or substantially damaged and not subsequently repaired for whatever reason including a financial decision by the owner. IATA?s Director General and CEO, Tony Tyler said ?Safety is the air transport industry?s number one priority. It is also a team effort. The entire stakeholder community airlines, airports, air navigation service providers and safety regulators works together every day to make the skies safer based on global standards. ?As a result, flying is one of the safest things that a person could do. But, every accident is one too many, and each fatality is a human tragedy. The ultimate goal of zero accidents keeps everyone involved in aviation focused on building an ever safer industry.? Safety by the numbers 2.8 billion people flew safely on 38 million flights (30 million by jet, 8 million by turboprop), 11 hull loss accidents involving Western-built jets compared to 17 in 2010, 92 total accidents (all aircraft types, Eastern and Western built) down from 94 in 2010, 5 fatal hull loss accidents involving Western-built jets down from 8 in 2010, 22 fatal accidents (all aircraft types) versus 23 in 2010, 486 fatalities compared to 786 in 2010 and fatality rate dropped to 0.07 per million passengers from 0.21 in 2010 based on Western-built jet operations. IATA member airlines outperformed the industry average for accidents of all aircraft types by 23% (1.84 accidents per million flights compared to 2.40). The IATA Western-built jet hull loss rate, at 0.41 accidents per million flights, was slightly higher than the average for the industry. ?The accident rate for airlines on the IATA Operational Safety Audit (IOSA) registry was 52% better than for non-IOSA operators. These numbers show that IOSA is helping to drive safety improvements for the entire industry, not just IATA member airlines. Of the 369 airlines on the IOSA registry, 130, or 35% of the total, are non-IATA member airlines,? said Tyler. He noted that IOSA registered airlines flew 64% of all commercial flights in 2011, and that IOSA now includes 68 Safety Management System (SMS) standards that provide a baseline SMS assessment. Asia-Pacific (0.25), Europe (0.0), North America (0.10) and North Asia (0.0) performed better than the global average of 0.37. Asia-Pacific, Europe and North Asia recorded improvements compared to their performance in 2010, while North America stayed the same. The Commonwealth of Independent States (1.06) was higher than the global average and also higher than last year (0.0). Latin America and the Caribbean performed better than 2010 (1.28 in 2011 vs.1.87 in 2010), but was still almost 3.5 times worse than the global average. The rate for the Middle East and North Africa region worsened to 2.02 from 0.72 in 2010. The rate for Africa improved by 56% to 3.27 from 7.41 in 2010 but still was the worst performing region in the industry. IOSA carriers in Africa had a zero hull loss rate in 2011. The total number of accidents for African airlines dropped from 18 in 2010 to 8 in 2011. The total accident rate for African airlines that are on the IOSA registry was almost equivalent to the world average, while the accident rate for airlines that are not on the IOSA registry was more than five times as high. The same trend occurred in the CIS, where the accident rate for IOSA-registered airlines was more than five times better than the rate for non-IOSA registered airlines. ?The problems of Africa are complex and include both insufficient government oversight and a lack of infrastructure investment. It is quite clear from the industry?s performance that global standards like IOSA are an effective means to improve safety. We are eager to work with governments to make IOSA a part of their safety oversight programs,? said Tyler. Runway excursions, in which an aircraft departs a runway during a landing or takeoff, were the most common type of accident in 2011 (18% of total accidents). This is slightly reduced from 2010 when runway excursions accounted for 21% of total accidents reflecting industry efforts to reduce their frequency. Despite industry growth, the absolute number of runway excursions decreased from 23 in 2009 to 20 in 2010 and 17 in 2011. Eighty eight percent of runway excursions occurred during landing. Unstable approaches--situations where the aircraft is too fast, above the glide slope, or touches down beyond the desired touchdown point--and contaminated runways are among the most common contributing factors to runway excursions on landing. IATA?s Global Safety Information Center (GSIC) provides trend analysis that is helping the industry improve performance. For example, a new Flight Data eXchange (FDX) system within the GSIC tracks unstable approach performance for the more than 700 airports in the database. Sharing such safety data complements the work of the Runway Excursion Risk Reduction (RERR) Toolkit, the second edition of which was launched in May 2011, and fuels global efforts to find solutions. Ground damage was another concern, accounting for 16% of accidents in 2011. This was up from 11% in 2010. These accidents include events such as damage resulting from ground handling operations and collisions during taxi. 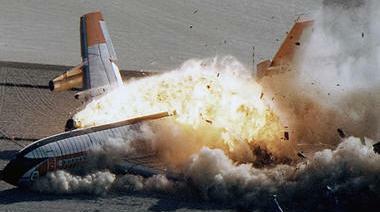 IATA has launched a number of initiatives to address ground accidents. In 2008, IATA launched the IATA Safety Audit for Ground Operations (ISAGO). This is the first global standard for the oversight and auditing of ground handling companies. Subsequently, IATA has launched the IATA Ground Operations Manual (IGOM) and the Aircraft Ground Damage Database (GDDB) to collect and analyze reports of ground damage from participating operators and ground service providers. Data sharing is helping to identify and reduce risks. In 2010 the International Civil Aviation Organization, the US Department of Transportation and the European Commission agreed with IATA to create the Global Safety Information Exchange (GSIE). This was enriched in 2011 with the addition of databases covering ground damage and flight data. ?The wider that we cast our net to collect safety information, the more effective we can be in allocating resources to mitigate identified risks. Further developing GSIE is a model for international cooperation that continues aviation?s great tradition in this area,? said Tyler. ?Aviation?s good record is not the result of complacency. The strong performance in 2011 should not distract us from the need for continuous improvement to drive the accident rate even lower. An even safer future will be built on the foundation stones of global standards, cooperation between industry and government and information sharing,? said Tyler.